Twitter chats are an engaging way of talking to people with the same interests as you or talking to people who live local to you. They are an excellent way of promoting your business or interests. You may not be aware of them or what Twitter chats are so let’s look into the what and how in more detail. These are live events that happen at a set time and they usually have a set date. The date could be once a day, once a week or once a month. These events have a moderator and they can also have guest speakers and hosts. These are ‘typing’ events and not actually voice chats. You type your chat through Twitter. If you have a local business selling locally then these chats are a great way to let other people in your area know that you’re out there. UK – Digitia have compiled a fantastic list of UK based twitter chats. Global – Tweetreports.com have a huge list of global twitter chats. You can also look through other hashtags in your field or locality. As an example if you search the hashtag #SocialMedia you may find a tweet promoting a live chat for people in that field. 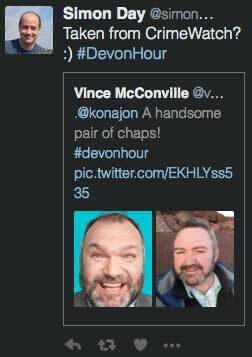 Some can be quiet with a few minutes passing between each tweet, others, like #DevonHour, can have one or two tweets a second. You can get a lot of new followers through the busier events. If you mention you’re new the host of the chat, they may even promote you to others during the event and ask them to follow you. This is the important part; those that do follow you are real people with real interests which is great for your business. What do I do once I’ve found one? 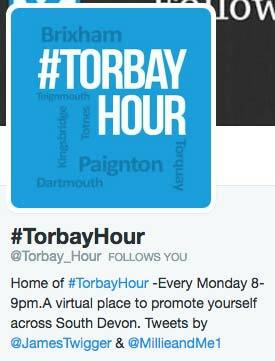 By using the #DevonHour hashtag everyone involved in the chat will see my message. As long as you use the chat hashtag everyone in the chat will see your messages. Observe a couple before you start if you want to. Another option is to search for the hashtag and read through previous events so you know what to expect. Watch how others are using the chat. You do get more engagement with images, gifs and videos. Don’t forget the “Social” part of the Social Media. Don’t just spam links to your business. The more you engage with others, the more brand awareness you create. Having software like TweetDeck can make it much easier as you can create a column for the chat. This will update in realtime and it will only display the tweets using the events hashtag. I see quite a few people who stack up tweets for the chats and don’t even bother sitting there through it. I get a LOT more followers and more awareness of what I do because I ENGAGE with other people. If you take pictures then local chats can be a really good way of getting a massive awareness. I’ve tweeted a photo of local scenery which was then retweeted dozens of times. The result was over 250,000 impressions… from a single tweet! How do I start my own chat? Make sure the hashtag you use is totally unique. You can search Twitter to make sure it is a new tag. Try to make it easy to remember and keep it short. Try to avoid having your chat when other, possibly conflicting (and busier) chats, are going on. 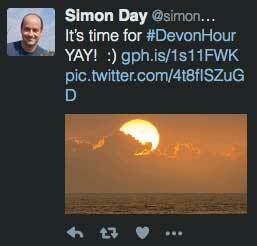 Both #SouthHamsHour and #NewtonAbbotHour start half way through #DevonHour which is a pretty bad idea in my humble opinion. Get help – if your chat takes off quickly you’ll need help managing the chat. It is easier if you have someone helping you welcome new folks, retweets good posts and so on. Promote the event on Twitter. This helps promote the chat and you can also clearly see when the chat moderator is talking and tweeting during the event.